College life is incomplete without regular visits to the library. While digital technology allows you to research online, studying and researching in a library still makes a big difference in your student life. A library is a quiet place where you can find different types and topics of books written by qualified and renowned authors in various fields, specializations, and industries. 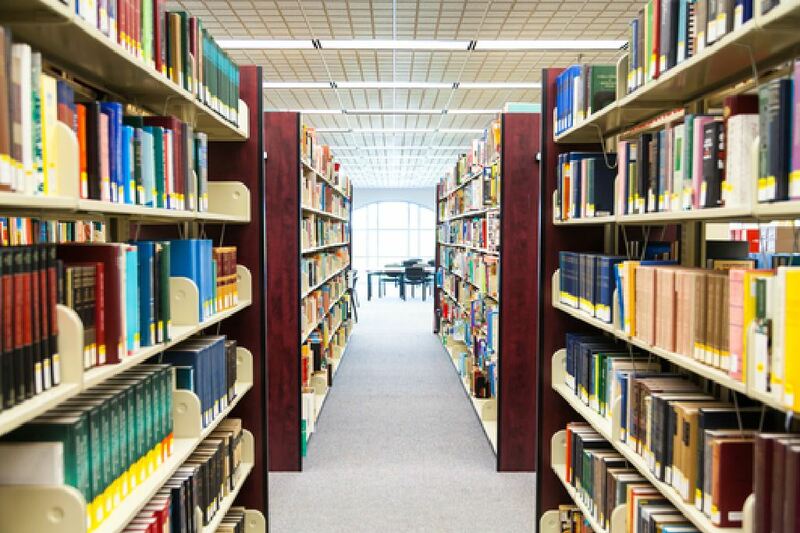 In this post, you’ll learn the important benefits of libraries when studying your college degree. A college library is a place where you can find a great wealth of resources to help you thrive in college. It’s a learning center that provides almost everything you need. Aside from physical books, you’ll find a wide range of learning resources in a library. A library also makes use of the Internet in several ways, from creating a library website to making searchable catalogs online. Search engines, like Google Scholar, provide a way to facilitate academic research sourcing, such as research papers and journal articles. For instance, the WorldCat online database allows all college students to search the largest repository of library records in the world via the Online Computer Library Center. Official Publications: Be able to read private and government publications from different parts of the world in a university library, like one at University of Southern California. Databases: These are indexes that enable you to search for abstracts and articles found in journals. Electronic Books: These are books in electronic format that you can read on any computer with internet connection or you can download for a period of time to your laptop, tablet, and other devices for offline reading. Electronic Encyclopedias and Dictionaries: These are available in electronic format for online reading for your laptop, tablet, or smartphone. Journals and eJournals: You’ll find periodicals or journals held in all university libraries. Also, eJournals are now increasing in number, available electronically for online or offline reading. Online Newspapers: It’s a digital resource that helps students with referencing. Other Learning Materials: Gain access to physical and digital materials, including books, newspapers, manuscripts, films, documents, microform, maps, prints, CDs, cassettes, Blu-ray Discs, videotapes, DVDs, e-books, audiobooks, and other formats. E-learning can be convenient for many college students. However, reading using a computer screen can be harmful to your eyes. So, it’s better to take time visiting your university library to get some brisk walking exercise and maintain healthy eyesight. Also, encouraging your friends to visit the library is a good idea, prospering better friendships, which is crucial for a college student’s psychological well-being. You’ll learn how to find what you need in a library with the help of the librarian or associate. Also, you practice self-discipline by silently studying, researching, or working on your project. Eventually, you feel comfortable as a first-year college student with your frequent visits to the library. Being able to hold, scan the pages, and go back and forth to the different pages of a book teaches perseverance, patience, and hard work. With these different disciplines, you gain the right knowledge, skills, and attitude to be confident in pursuing the college degree you have chosen. One study correlates the effects of library services satisfaction on students’ academic performance. The availability of various learning resources, an approachable librarian, library programs, and technology makes a library great. Also, the accessibility of the library plays a crucial role in inspiring college students to visit regularly. While it’s easy to search online to find what you need, studying and reading a book in an academic library provides a genuine feeling of college life. By seeing your fellow college students around, you’re able to grasp the hard work, patience, and focus of studying with minimal disruption of external sources, like television, loud music, people chatting, and other sources of noise and distractions. As a college student, you want to make sure that you take the necessary steps to be successful in your chosen career in the future. That’s why you should set a time to visit the library every day. It has a great source of information found nowhere else, even through the internet. You have the assurance and peace of mind that the information you see in a library is well-researched and legitimate. Most of all, a university library makes your college life worth remembering, as it reflects your hard work and perseverance.